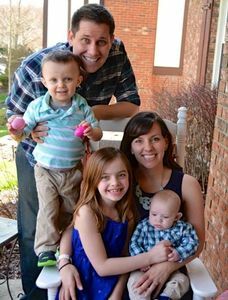 CINCINNATI – After months of fighting and praying, another Tri-State family lost their child to a rare brain cancer known as DIPG Sunday. Huxley Elliott Williams was just 3 years old, and had been fighting a brain tumor in his brain stem and medulla since his diagnosis this past September. "We think he was ready to go a couple weeks ago, but we asked him to stay strong just a little bit longer to see monster trucks one last time, and after that he could go night night," his family wrote on a GoFundMe.com page created to raise money for Huxley's treatment. A day after "enjoying Monster Jam like a trooper," Huxley's heart rate became lower than it ever had been, his family said. He turned cold. They knew his time was near. His mother, Cheryl Williams, wanted him to remember his happiest moments. "I said, 'Huxley, I know you're tired...but mommy and daddy want to take you to the park where you used to play with the ducks with Chloe and Watson, but it's cold today. Just be strong one more day for mommy and we'll go tomorrow to let you say bye bye to us,'" Cheryl said. On Sunday, Cheryl and Huxley's father Nate took little Huxley to Eden Park where he used to play at the playground, laugh at the ducks and splash in the water. They read a few books to him and talked to him about his life, Cheryl said. They told him they will never forget him and will never stop missing him. "We told him we will be OK without him, and in his next life he will grow big and strong and healthy, and be sweet, smart, funny, curious, adventurous and caring," Cheryl said. "Then we said goodbye and gave him his final kisses, and let him take his last breath." 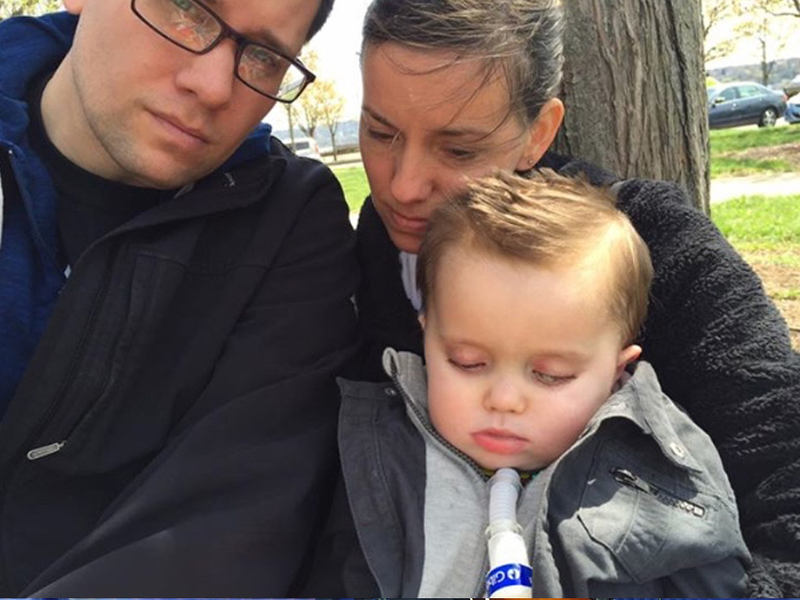 In November, Huxley's parents told WCPO Huxley's treatment options are limited. The family considered moving to Colorado to seek other treatments. "He could get treatments that aren’t allowed here and also more alternative therapies that doctors there are more open to,” Cheryl said at the time. On Tuesday, the Tri-State also lost Kyler Bradley. Bradley was just 10 years old and battling diffuse intrinsic pontine glioma, or DIPG — the same form of cancer that took Lauren Hill's life. The Fairfield boy was taken off life support Tuesday evening and took his last breath at about 7 p.m. The GoFundMe page created for Huxley raised more than $41,000 in seven months. A memorial service was held Wednesday at the Gwen Mooney Funeral Home in Spring Grove Cemetery. An inurnment service followed the memorial in the Cremation Woodland area of Spring Grove.